Blessed beings, as always it is a precious moment when we meet in your awareness for it is your awareness that brings life to form. You are constantly changing. This is an exciting tipping point of this time. Your awareness is being utilized by you more consciously to shift your experience. Therefore, change occurs more easily and rapidly. You are beginning to resonate with this pace of change and what seems fast moving now will soon become a natural pace for you. You will feel more at ease with your change. It is your perception of your challenges and your capability to adapt easily to change that makes a difference in this flow. 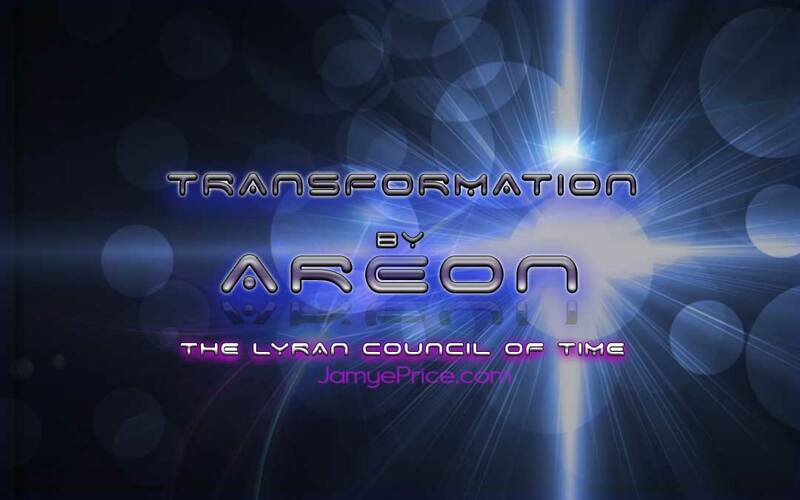 You are rapidly changing on conscious and physical levels, although the physical changes will take more time than your mental, emotional and subtle changes. Your awareness allows all of these changes to flow more easily. Change is constant. You have become used to change of weather and seasons. Now you are learning to adapt more easily in your emotional situations, social situations, with technology and to your environment. Although change is occurring at a faster pace, it is becoming easier to you. You are learning how to integrate more of yourself with the change. Changes in your environment include changes in weather. The way you adapt to change in weather is a good example of how to learn to work with the energy flow around you. As you observe weather you sense heat, moisture and pressure. You respond knowing that the weather will have an effect on you and your life. You adjust easily because it is a natural flow and you recognize that you must deal with weather. This is a beautiful analogy of this time. You are learning to adapt and respond. As you begin to look at your life as something you can adjust to easily, you will begin to allow the flow of it more easily. You will allow the energy of Life to be fully received by you and to flow more easily with you. Most of this has been invisible to you and sometimes not easy. You are supported through change because you have allowed yourself to receive energies that are changing your resonance and vibration. You are receiving energy and information at all times. You are a biomechanism that naturally receives energy. As a species, you are becoming more consciously aware that life is interacting with you on many levels. Your conscious awareness is sensing and feeling what others are sensing and feeling. You are sensing things that are not said. You are sensing information that may not be in the current timeline. Information that may be from the past or the future. This is an important and beautiful time. Your conscious awareness is calling you to more choice, more loving allowance and more wonderment with life. Your conscious awareness of the energies you receive is key. You are meant to be interactive with your environment and the energies around you—interactive with nature, people and animals. Your consciousness is key. As you receive these energies, you filter them through your internal environment. Your internal environment is your inner sacred space. Your choice and perception within is where you allow what you have received to become change. As you allow the information of life to flow in, you are strengthening your ability to flow and respond with Life. Interaction becomes very natural. You feel it, ponder it and perceive it. Interaction becomes a give and receive. You find that experiences that once challenged you will have more flow to them. As you receive Life, you are actually opening up to more of yourself. You are allowing more of yourself to emanate into the world. You will naturally begin to connect more with life and emanate your intentions and choices into your experience. Look for small things that delight you. This is a way to access more conscious awareness within your experience. Small things allow you to connect with your environment and sense the subtle energy. As you connect with colors, smells, temperatures, sounds and emotions you allow change to flow more easily. As you allow the positives and negatives to thrill your discovery, you become more adaptable. Life becomes more like play and less like pressure. The small delights allow that ease of taking the next step along your path. Allow yourself to find the small delights. What is it that most delights you? What draws your attention? Are you more auditory or more visual? Do you like to think, feel, or physically create? When you find the small delights, they will connect you with life and allow you to receive more. You will begin to feel less of a need to disconnect for protection. You will have a sense of more safety and wisdom. You will connect with life in ways that serve you and serve life. Your resonance is affecting your environment. Your resonance is your vibrational information. It is shifting and changing at a rapid pace now because you are available to more change. Your resonance is affecting your environment. Your environment responds to you. The Earth is yours, just as you are of the Earth. Embrace it in all ways. As you embrace Life, Life embraces you even more. In these powerful times, receive it, receive Life. Teach through your receiving, through your allowance and awareness of that which is delightful and interesting to you. For Life has information within it that is now within you and changing your resonance. Your resonance and your magnificence will become more obvious. As you find the small delights, let it be okay that sometimes you find sorrow. Sometimes you find fear or anger. Embrace it anyway, because as you do you are allowing it to transform. It becomes strength, wisdom, or new choice within your resonance. You are the Passive force of love that knows life is perfect and ever changing. Love is a passive force. It is a force because it is powerful. It is passive because it will not overtake. It will open to allow and that which is resonant will create anew. It is passive in that you can never force someone to love. But you can call them to it and embrace them. As you love, you become a powerful force that creates life. Life is constantly offering itself to you. It doesn’t matter if you are in a moment of fear, hatred or sorrow. It will embrace you. Life offers itself to you for creation, and that love is unconditional. Life gives itself easily to you. What you are doing now is receiving more of that. You are allowing your love to flow more easily into the world. This releases the control systems that have been flowing their own energy strongly. 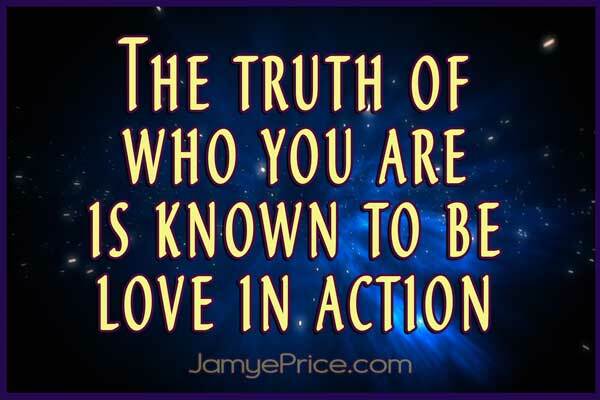 The truth of who you are is known to be love in action. Your life is known to be in transformation. You are known to be capable, ever changing and magnificent. The truth of you is known. You are capable of embracing any experience you are having and transforming it. The beauty of life is that you can refine your experiences through thinking and feeling. This has the potential to create excitement in every experience. Your conscious awareness of what you are experiencing is what defines and changes it. A beautiful aspect of physicality is that there is a duality. There are opposites. Your opposites create a complete whole. This is how you find your wholeness. This is an exciting part of life.